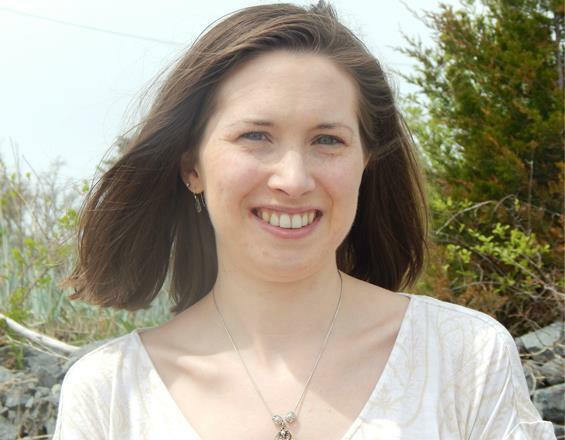 Welcome guest blogger Sara Letourneau! We connected with Sara on Twitter and through the many places she blogs (see bio below). Sara is super friendly, upbeat and knowledgeable, especially about writing fantasy, so we’re thrilled to have her here today to shed some light on the differences and similarities between high fantasy and epic fantasy. Take it away Sara! Fantasy literature can be challenging to navigate. Its sheer number of subgenres – and the increasingly blurry lines between them – has the potential to overwhelm even long-time enthusiasts. However, once one understands the subtle differences between these subgenres, it can lead to “a-ha” moments for readers and writers alike. The defining element of high fantasy is its setting. Regardless of the time period (past, present, or future), the story’s world must be a “secondary” world, or an imaginary setting created by the writer. · Magic or sorcery, either with a system of rules (“hard” magic) or a more mysterious, nebulous presence (“soft” magic). · Invented languages, either included in the text or implied in the narrative. · Fictional humanoid races such as elves / fairies, angels, or merfolk. · Mythical creatures such as dragons, griffins, or anthropomorphic animals. · In some cases, the ability to travel between the real / primary world and the imaginary / secondary world (e.g., portals, rules allowing select characters to make the journey). C.S. 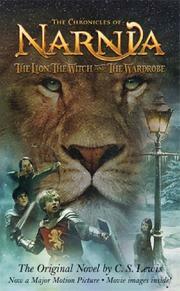 Lewis’ CHRONICLES OF NARNIA is a superb example of high fantasy. Narnia teems with fictional beings, including talking animals (most notably the lion Aslan), dwarfs, unicorns, gnomes, and creatures from Greek mythology. Magic also abounds here, with the ability to thwart the rules of nature for good or evil. For instance, Queen Jadis (a.k.a. the White Witch) condemned Narnia to an eternal winter that thaws with Aslan’s return. Narnia’s most enchanting element, however, is its portals. From train stations (Prince Caspian) and paintings (The Voyage of the Dawn Treader), to literature’s most famous wardrobe, numerous gateways allow children like the Pevensie siblings to travel between Earth and Narnia. This emphasizes the separation between the real world and fantasy, while thrilling its readership with the idea that a magical world could be only a closed door away. Other Examples: Ursula K. Le Guin’s EARTHSEA CYCLE, Patrick Rothfuss’s KINGKILLER CHRONICLES, Laini Taylor’s DAUGHTER OF SMOKE AND BONE trilogy. One of fantasy’s most popular and timeless subgenres is epic fantasy. It combines history and legend to tell a tale that excites and entertains. Sometimes it involves a quest. Other times, it focuses on politics or war. Whatever the plot may be, epic fantasy is always massive in length (usually over 100,000 words, though 120,000+ words isn’t rare) and scope. In fact, scope is what sets epic fantasy apart from other subgenres. The main focus is the plot, allowing the writer to show how the conflict impacts the story world at large. Also, older epic fantasies tend to exhibit a clear-cut “good versus evil” theme, while more recently published examples often explore moral ambiguity through realistic, complex characters with competing motivations. · A story world in a medieval or historical setting, and can be either invented by the writer or based on real cultures and places. · A large cast of characters, either with a single protagonist or multiple points of view. · A reliance on subplots to help advance the story, leading to a complex overall plot. · Action using swords, archery, and other weaponry that is sometimes violent or graphic in nature. Did anyone think of George R.R. Martin’s A SONG OF FIRE AND ICE saga while reading this list? Both the books and its hugely popular TV adaptation Game of Thrones epitomize epic fantasy. 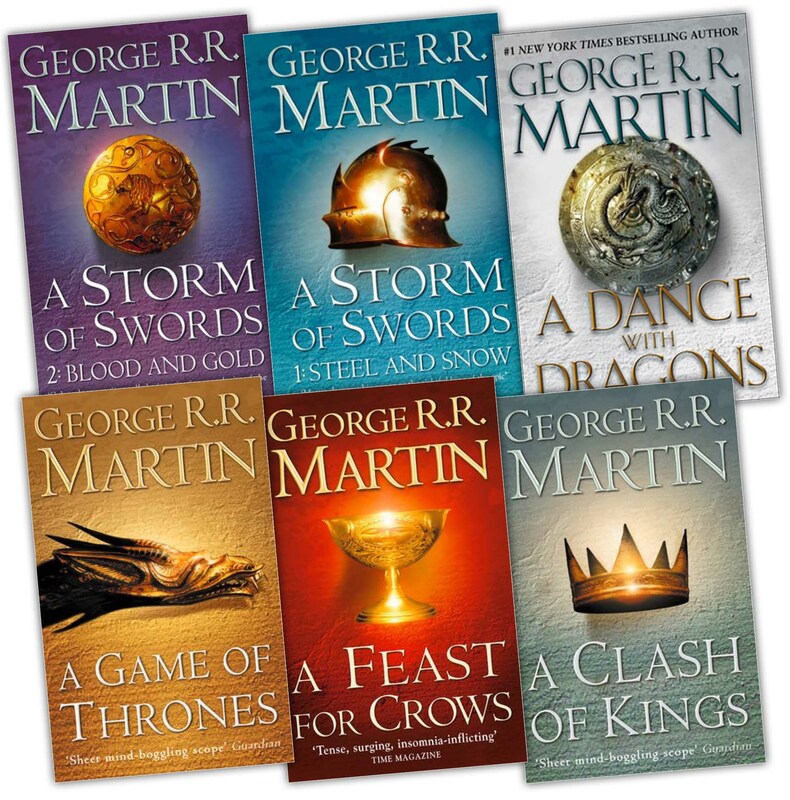 Set in the fictional medieval world of Westeros, this series offers a panoramic view of power struggles between several families, with threats from an exiled princess and supernatural forces on other fronts. It’s intricately plotted, brutally bloody, and mammoth in scale and cast size – and the stakes keep mounting with each book and season. While Game of Thrones’ subgenre is clear, fans have debated its classification (high fantasy vs low fantasy) for years. Personally, I’d say Game of Thrones is low fantasy. Sure, you’ll find dragons, ice zombies (a.k.a. White Walkers), and religious figures who use magic for prophesying or resurrections. However, Martin’s intent with the books was to create a realistic world that focused less on the supernatural and more on characters, war, and politics. The result is a post-magic society where people no longer believe in mythic forces and beings – until proven otherwise. This skepticism is also reflected in the TV show. Other Examples: Robert Jordan’s WHEEL OF TIME series, Terry Goodkind’s SWORD OF TRUTH series, Robin Hobb’s FARSEER trilogy. So… Can a Story Be Both High Fantasy and Epic Fantasy? Why not? We distinguished Game of Thrones by both subgenre (epic fantasy) and “fantastical” classification (low fantasy). The same can be done for other fantasy stories. So, it’s entirely possible for a novel to be both high and epic fantasy. And what better example is there than J.R.R. 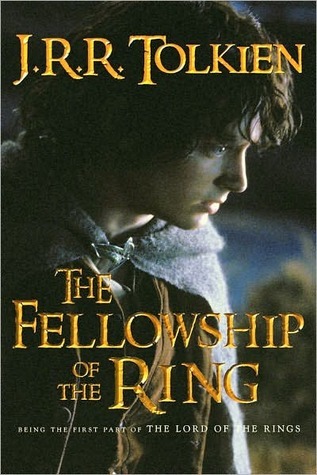 Tolkien’s THE LORD OF THE RINGS? In fact, anything from his Middle-Earth legendarium could be called epic high fantasy. This beloved secondary world features magic, numerous fictional species (wizards, hobbits, elves, dwarves, orcs) and creatures (dragons, giant spiders, demons), and invented languages. And with The Lord of the Rings in particular, Tolkien uses multiple points of view to tell of the quest and battles fought in order for unlikely allies to destroy The One Ring. See how many boxes we ticked off for both types of fantasy? Remember: The main keys of high fantasy are an invented world and a high number of supernatural or fantastical elements. For epic fantasy, it’s all about a long-ago setting and a scale of, well, epic proportions. They won’t always collide during a single story – but when they do, the results can be magical and magnificent. What are some of your favorite fantasy subgenres? How about some of your favorite stories that demonstrate high or epic fantasy, or both? Sara Letourneau is a Massachusetts-based writer who practices joy and versatility in her work. In addition to revising a YA fantasy novel, she reviews tea at A Bibliophile’s Reverie and contributes to the writing resource site DIY MFA. Her poetry has been published in The Curry Arts Journal, Soul-Lit, The Eunoia Review, Underground Voices, and two anthologies. Learn more about Sara at her website / blog, Twitter, and Goodreads. Have you heard of historical fantasy? I have a story set in the Stone Age, and there is all manner of magic, from shamanism to witchcraft, astral projection to spell casting. I guess it could be epic fantasy because the cast is large and it encompasses a wider world, but isn’t historical fantasy a thing now? Just wondering. It feels like it should be. Hi Linda! Yes, historical fantasy is very much a thing. I’ve read a few historical fantasies, and know of several that are being published later this year. The differences between historical fantasy and epic fantasy are in the number of POV characters (historical typically has one or two), scope (historical tends to be smaller in scope), and the amount of real history involved. In a way, historical fantasy is like historical fiction, based on facts or real events / locations and possibly allowing myths and legends to come to life. Sorry it’s taken me a while to respond. I hope my answer helps! I really liked this article; captured my interest right away. I’d agree that The Chronicles of Narnia are high fantasy too. But now I’m wondering how to categorize my Artania novels. Because Artania is another world with mythical creatures and beings I have created I suppose it is high fantasy. However each novel has multiple points of view and begins on Earth with humans who journey to Artania in order to complete a task. Each task forces the protagonists to find inner strength during battles, rescues, and war so there are epic elements as well. I’ve ended the first three books with a huge battle scene where gods, goddesses, and my hero artists pit their forces against monsters and Artanian traitors. I love fantasy — high and low — but epic fantasy is starting to wear on me since too many writers are trying too hard to be, well, epic. After reading Ursula K. Leguin, I know that wonderful fantasy can be written in just a few hundred pages, instead of a few thousand. I know what you mean. Long books tend to intimidate me, too, especially since I’m not a fast reader. So it’s nice to come across something once in a while that tells a story with fewer characters, a more narrow scope, and in fewer words. UKLG is an awesome choice, btw. One of my favorite writers of all time. Nice article, Sara! You’ve mentioned some of my favorites here: Lord of the Rings, Wheel of Time, and Narnia. Have you read Wheel of Time yet? It’s a mammoth of a series, but good. I really enjoyed reading this, Sara. Yes, I’d agree with your classification of The Game of Thrones being low fantasy – the other convention around High Fantasy is the nature of the threat. In High Fantasy it tends to be an overwhelming Evil, either in the form of barbarian hordes or a supernatural being with immense power. The Game of Thrones is more a manmade threat by competing factions. I enjoy most forms of fantasy, so long as they are well written and engrossing. But I suppose my all-time favourites are those more tightly focused supernatural dramas such as the Glass Thorns series by Melanie Rawn and Tanya Huff’s fabulous The Enchantment Emporium. Crime fantasy such as The Peter Grant series by Ben Aaronovich and the Midnight Crossroad series by Charlaine Harris also tick all my boxes:). What about you? What are your favourite types of fantasy? Thanks Sarah! And that’s a good point regarding high fantasy and the overall threat / antagonist. The Name of The Wind also! Oh yes, I’d definitely agree that The Name of the Wind (which I LOVED) is epic fantasy as well as high fantasy. I haven’t read The Liar’s Key or Mark Lawrence’s other books, but they’re on my wishlist.